After the present tour of SA, India is to tour Kiwiland – playing 5 One dayers and 2 tests. The One dayers are on Jan 19th; 22nd; 25th; 28th and 31st …. The 1st Test is at Eden Park, Auckland starting on Feb 6th; while the 2nd sarts on Feb 14th at Basin Reserve, Wellington. Newzealand is known for its chill weather and swing that pacers will be able to achieve. Way back in June 1986 in Test no. 1047 – India was on a high – in that test at Leeds India won by 279 runs as Indian bowlers skittled out England twice for 102 & 128. Chetan Sharma was injured and S Madanlal who was playing minor league was drafted in to the eleven…………….. it was the unlikely hero Roger Binny who had figures of 13-1-40-5 and 8-1-18-2 – the wrecker-in-chief. Madanlal took 3 for 18 in the 1st while Maninder 4 for 26 in the 2nd… those days Binny was hailed as India’s overseas player as he could bowl well in overcast conditions but was ordinary on subcontinent wickets though he took a 6 for against Pakis at Calcutta. After leading the wicket-takers' list in the 2012-13 Ranji Trophy, Pandey has played 12 first-class matches this season - two each against South Africa A and West Indies A, and eight in the Ranji Trophy. He has taken 45 wickets in those, with two five-fors, including 11 wickets on the tour to South Africa. 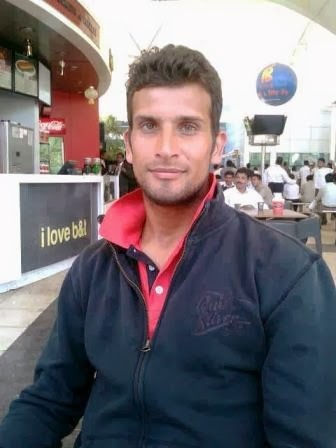 Until the 12th standard, Ishwar Pandey - son of a retired Subedar Major in the army - had no business with serious cricket, let alone fast bowling. But a chance visit to a selection trial changed his life forever, and with India call-up, the 6-feet-2-inch man from Madhya Pradesh has taken a giant leap. A product of MRF Chennai, Pandey, 24, has received maiden call to the Indian Test and ODI squads for the tour of New Zealand. He played for Pune Warriors in the last IPL. The hero of that Leeds match was Roger Michael Humphrey Binny – once a commentator said – with this name he deserves to be playing for England !!!! – now his son, Stuart Binny, a medium-pacer and middle-order batsman capable of getting quick runs when needed, gets a chance as an allrounder – it is a coincidence that Roger Binny is in the selection committee.